When thinking of heavy metal in the 90s, some albums that may come to mind could be the technical, thrash prowess of Death’s ‘Human’, or the prog, jazz-fusion archetype that was Dream Theater’s ‘Images and Words’. It was a time when metal bands were pushing the beyond the conventional more than ever, and ‘Alarum’ was no exception. 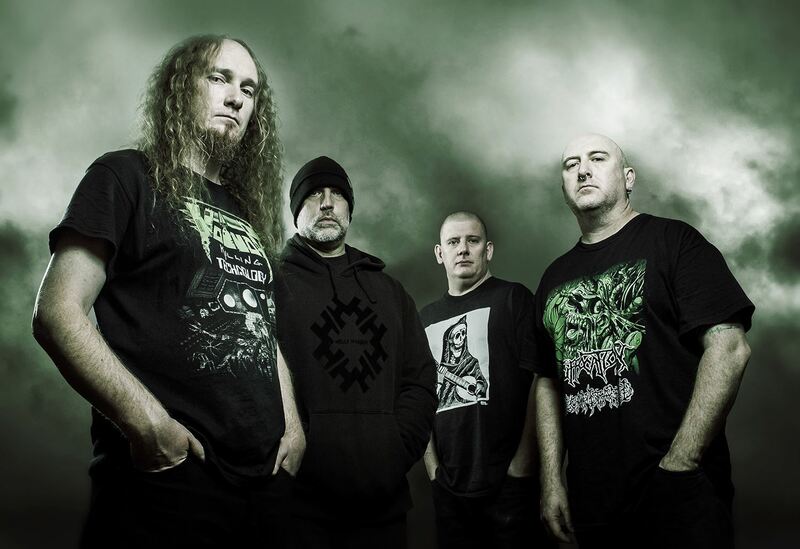 Flying the flag for Australian technical, progressive metal since 1992, Alarum have released the acclaimed albums ‘Fluid Motion’ (1998), ‘Eventuality…’ (2004), ‘Natural Causes’ (2011), and have toured with the likes of Cattle Decapitation, Obituary, and Gojira across their vast career. The Aussie metal veterans are showing no signs of slowing down, however; with their fourth album soon due for release. 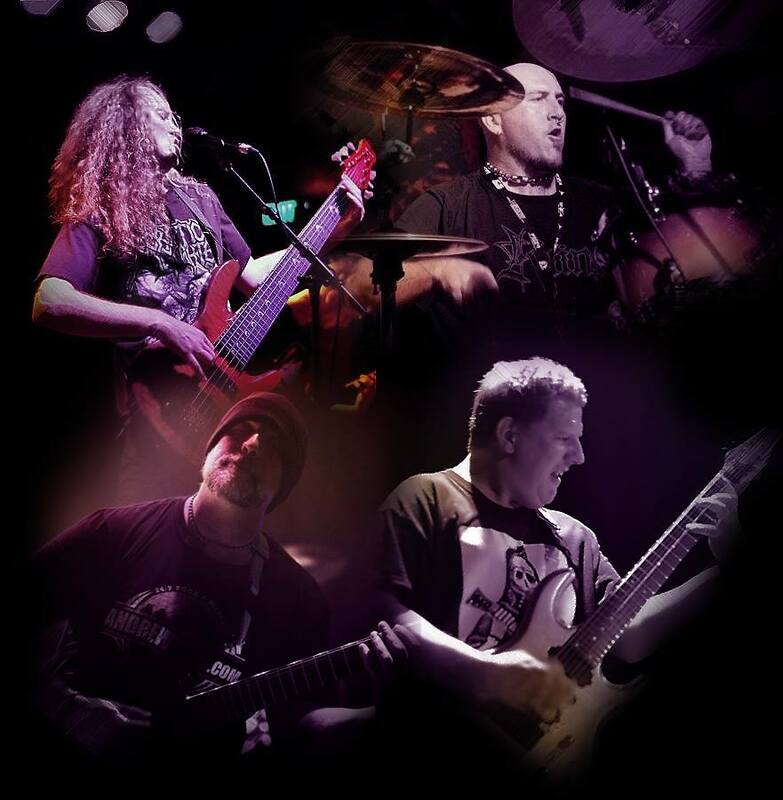 I caught up with Mark Palfreyman, the band’s vocalist and bassist, and talked about the gig Alarum was playing on that night: ‘United Heavy Metal Down Under’, along with his experience with the local Melbourne metal scene over the last three decades. The ‘United Heavy Metal Down Under’ sounds like a pretty big tour, locally, in Australia? It’s actually not a “tour” as such. 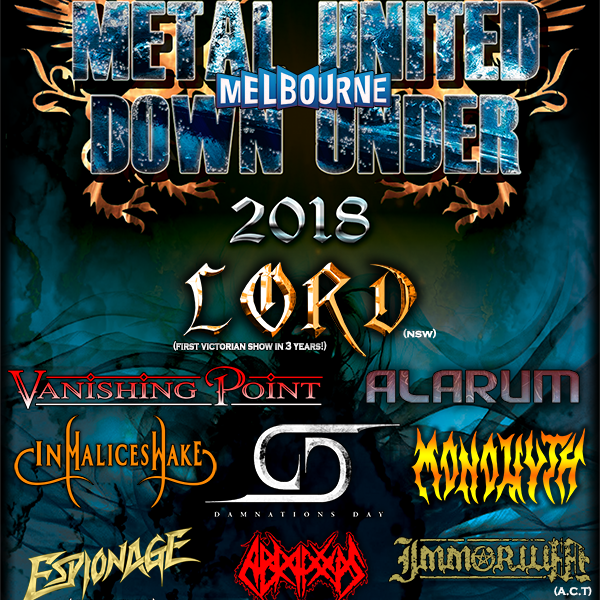 Every year it’s one night where all around Australia there’s a gig that goes under that banner (United Metal Down Under). Tonight they’ll be gigs in other cities, towns and all that. So we’re just doing the Melbourne show, but there are other shows going on around the country. It’s one night in the year they get whole lot of Aussie bands together playing in different venues on the one day. It’s almost sounds like a national ‘Australian Heavy Metal Day’. Yeah, basically. So we’re pretty excited to do the show, we haven’t played a show in Melbourne for four years. We’ve obviously been around for a long time, and with those bands: Vanishing Point and LORD (previously known as ‘Dungeon’), we’ve been doing shows with those guys for over 20 years. It’s not often we get a chance to do shows together. The fact that we get to all play the one show together tonight with a whole heap of newer and younger bands is still pretty exciting. Was there any reason behind that? With the releases, the first one being in 1997, 1998- that was a year or two after working on music. After the first album then I suppose we started doing shows and touring. So that was years of “learning the ropes”, travelling interstate, and all that sort of stuff. That took time to go and do. And then we were starting to write the second album. So there was a good gap in-between. I suppose it’s something we weren’t in a hurry to just go and release music. We let the music take it’s natural course. At the moment we’re about to release our fourth album so, once again, that’s probably about seven or eight years between albums, with some line-up changes as well. I think it’s not something we’ve intentionally done, that’s just how it’s turned out. And we’re still going, so it hasn’t affected our enthusiasm or creativity. We’re just a band that having made a lot of release for the time we’ve been around. Oh yeah, it’s been interesting for us, obviously- having been playing this sort of music for so long and getting to see genres expand, come and go, and sort of see newer, younger bands come through along with what they’re doing. In the early days there weren’t a lot of people who really understood what we were doing, and it went over a lot of people’s heads. It’s kind of cool now that people’s ears have opened up in this day and age. Do you have any favourite “newer” artists of today? I’m always keen to check out local acts as much as possible and check out live gigs. So there’s Melbourne bands, there’s band from other cities around Australia, pretty much the bands playing tonight. More-so seeing bands live is where I come from, personally. Speaking of checking out local gigs, with how long you guys having been around, what changes (if any) have you noticed in the Melbourne heavy metal scene over the years? The thing that’s changed, from what I’ve noticed, is people’s social activities. Going to pubs and seeing bands was very high on everyone’s list; whereas, these days, there’s that many other distractions or entertainment that there might not be as many people out (as there could be). But I think with metal anywhere there’s still that feeling of family and “togetherness”. It doesn’t matter where you go, the passion for the music, for metal in general, it’s still there. You mentioned you had a new album coming out? It’s basically being mixed in the States at the moment by ‘Neil Kernon’ whose mixed whole heap of great metal/prog/jazz-fusion. He’s done a whole lot of different styles of music, so we’re pretty excited he’s helping us work on the album. It’s still a similar approach we’ve taken in the past. We don’t sell ourselves too many rules or guidelines, we just go with what comes naturally. It’ll definitely have all the elements that our past three albums have had with a whole heap of new things. It’s a first album our guitarist ‘John Sanders’ has been involved in on the writing. So yeah, it’ll be pretty exciting to get something new out there and show people that we’re still around and still putting out music.